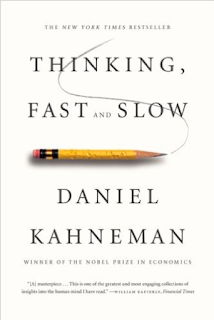 Finally, I wrapped up Daniel Kahneman’s Thinking, Fast and Slow. I was recommended the book years ago to better understand psychology. 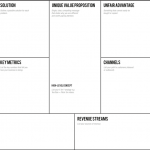 Understanding psychology has many benefits for entrepreneurs, sellers, marketers, and others – better understand people improves interactions within teams, with customers, and even provide hypotheses for product direction. Let me start off with: this is a dense book. The paperback copy spans 499 pages. It’s both conceptual and technical. I’ll likely need to read this book multiple times to truly appreciate its depth. As it stands, I feel the book could have (should have) been split into multiple books with the latter half diving very deep into sampling (sizes). System 1 vs. System 2. This is the most renowned principle of the book – the systems that think “fast” and “slow”. System 1 is the mind’s reactionary processes. System 1 relies on heuristics such as recency (a recent event prejudicing the current situation), anchoring (think about the first number thrown in a negotiation), and others. System 2 is a more deliberate, limited-resourced process of the mind. Solving a math problem like 34×27 being an example. It requires a slower, deliberate thought process. Sample sizes. Especially the latter half of the book, Kahneman makes several points about understanding sample sizes when deliberating biases, results, and even research (psychologists and economists most notably studied). Too often, statements or actions are based on limited sample sizes (read: not statistically significant). Instead, they are influenced solely by “what you see is all there is”. There’s a lot more covered in the book. I am limiting the concepts here in these two broad concepts because they’re absolutely key to my take-aways. But also, there was so much discussed in this book that sticking to the highlights help influence change. And what’s the change? 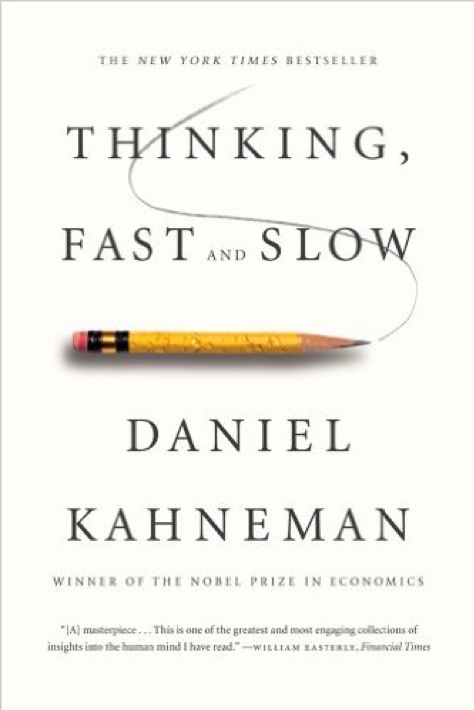 Kahneman consistently reminded the reader that the research he and his former partner Amos was applicable to everyone. Though the situations hypothesized often drew criticism or defensiveness from others (readers included), the findings were widely accurate for readers – myself, included. The change then becomes more self-awareness of the fast thinking that occurs, and the necessity to slow down, when more scrupulous attention is needed. System 2 is a limited resource. It was not hard to realize in my own life how often my System 1 jumped into action to save even just seconds of System 2 “work”. It’s true. Viewing optical illusions within the book or even evaluating double-digit multiplication, my System 2 was lazy. It was easy for my System 1 to take a quick glance and draw a conclusion (usually incorrect as was designed to throw me off) or even renege completely on the problem in front of me. It’s shocking. I can couple this thinking and need to slow down with Dale Carnegie’s How to Win Friends and Influence People. One of my greatest challenges is slowing down and stop being immediately reactionary (read: impulsive). Perhaps because of recent events with people and challenges, it’s no wonder being more mindful is one of my main take-aways.